Do you love throwing parties? Do you own a restaurant that is opened every day? If so, then you might be having some problems with trying to think of new ways to serve your food on a daily basis. Thankfully, you don’t have to deal with this issue anymore because here are some food serving ideas that you can use any time of the year. Let’s talk cones, how many times have you eaten something out of a cone? We aren’t talking about the ordinary ice cream cone either, we mean a durable unique bamboo cone. You probably haven’t eaten anything out of one of these modern cones, have you? Guess what? Your guests probably haven’t either so why not start using these amazing vessels to serve up your appetizers, desserts and other culinary treats. Bamboo cones are unique serving vessels, try them out now. 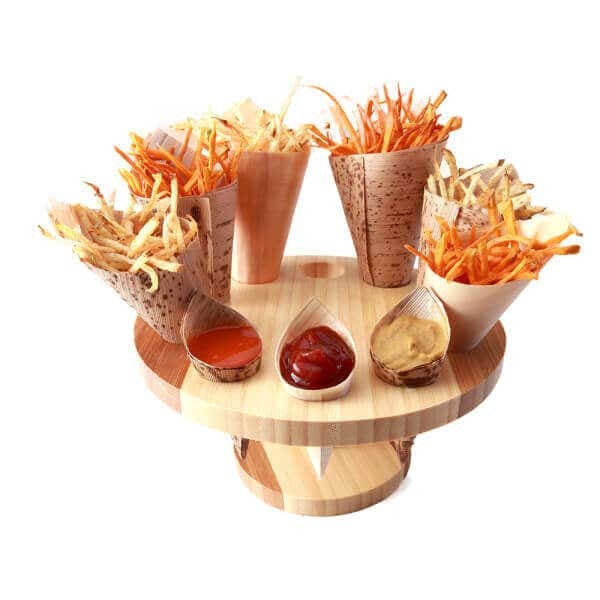 You might want to consider buying several kinds of cones and cone stands, then featuring them on buffet stations thus creating the ultimate food display that would fit perfectly in a restaurant, catering or party setting. Plus, bamboo cones are eco-friendly so your guests will be happy that you are using products that are easy on the environment. The day you start using bamboo cones is the day you start serving your food on unique tableware. It is the day when you will stand out above your competitors because bamboo cones are cool products that will awe your audience and please the masses. Now, do we have your attention? Are you wondering what kinds of food can be served in bamboo cones? How about fries, pasta, cheese sticks, fruit, donuts and the list goes on and on. The possibilities are endless. Bamboo cones are unique, durable, modern and possibly the best food serving products on the market. 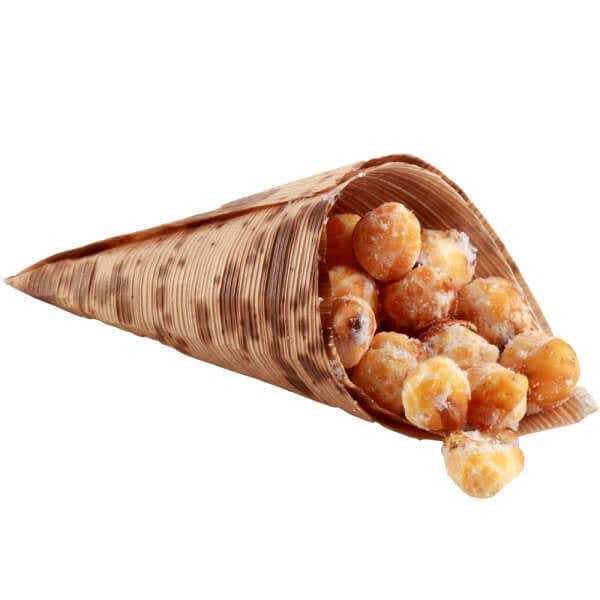 Your guests are bound to find bamboo cones exciting thus they will find you extra exciting so why not order them now and start using them very soon. Mini bamboo cones make great condiment containers.